As well as correcting your vision, eyeglasses also reflect your personal style. Let’s face it, the first thing people look at is your face, and personal frame styling is a must for your image. 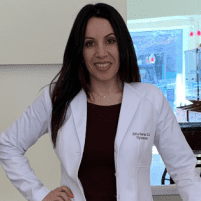 Zitta Rezvani, OD, not only hand picks each frame in the boutique but provides eyeglass prescriptions at idoc Optical in Washington, D.C. You can choose from a wide range of premium boutique designer frames and premium lens options. The friendly staff can help you select flattering frames and provide advice on the best lenses for your prescription and needs. If you’re ready for a new pair of glasses and live in the D.C. area, call or make an appointment online today. We may admire a pair of glasses although for styling or functional reasons, it may not be the best pair for us. The capable experienced opticians at idoc optical can assist you in selecting not only the best frame for your face but also for the purpose you would use them for. Progressive or bifocal lenses may be best in a frame that allows you to have adequate space or a high myopia lens may require a lens that would hide the edge thickness. You may struggle to see objects in the distance. For example, you might not be able to read street signs until you’re very close. As you age, the lens in your eye stiffens, and this impacts your ability to see objects that are close up. You might find that you have to hold your phone at arm's length to read your text message or that you peer over your glasses to read instead of looking through your corrective lenses. It is wise to remember that when vision changes are slow, we can slowly adjust to this slow change and not realize our vision is blurred. Often times it is after eyeglasses are dispensed that patients realize how blurred their vision was prior to glasses. There are two ways to answer this question. First, you can get new eyeglasses whenever you want. If you wear eyeglasses every day, you might want to have several different pairs of glasses to go with your clothing or you may want a pair of prescription sunglasses. However, the second point of view for this question is based on the validity of your corrective lens prescription. Corrective lens prescriptions are valid for a year, and if your vision changes between appointments, you should get new glasses with the correct prescription. However, if your prescription doesn’t change, you don’t have to purchase new glasses — unless, of course, you want a new pair of beautiful frames to update your look. Our eye doctor will advise you if your prescription has changed or that you may continue to wear the same prescription. How do I know which frames suit my face? Some of the details you need to consider include your prescription strength, your face shape and coloring, and the type of look you want. For example, you may prefer a bold frame or a nearly invisible wire or wireless appearance. Also, as your prescription increases, your lenses become thicker. You can limit the appearance of thick lenses with small, round frames that completely surround the lenses. Call idoc Optical or make an appointment online today to get new eyeglasses.